Contemporary, modern wooden dining chair available in a Wenge finish from stock or stained to a choice of wood finishes and delivered in 7-10 days from date of order. 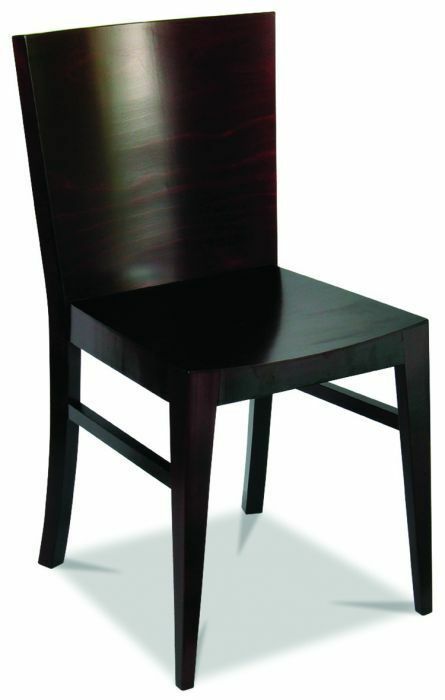 Highly attractive restaurant style chair with a strong wood construction. This chair is held in stock with a dark Wenge finish, however, can be stained to a UK wood colour of your choice. Please contact our team for further information on bulk orders.